A rare pair of 19th century silver gilt mirrors with their original & very slightly patinated glass plate, and a beautiful time worn patina to the frame. 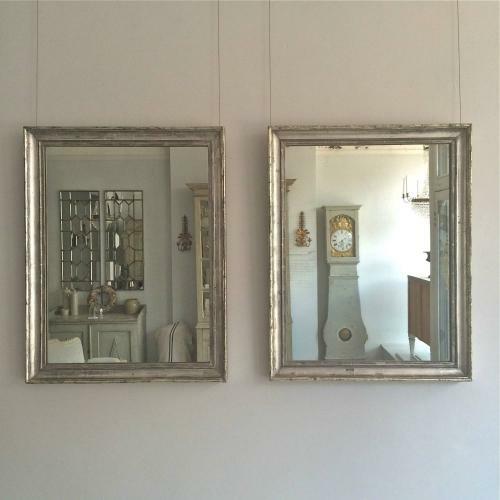 A charming pair of mirrors that would suit a number of situations around the home, and would be perfect in a master bathroom above a pair of wash basins. French circa 1870. Can be hung landscape or portrait.